Perhaps the most difficult is defining the intersection between academic systemisation and business dynamism, but fortunately there are various initiatives in Brazil and around the world that are proving that uniting these two universes is possible. Many of these initiatives propose a new point of view, in which academia and the market are not at opposite ends of a line, rather interlinked in the same educational ecosystem. To help in this journey, we present Design Thinking for Educators, a process created by the innovation consultancy IDEO - University of Stanford - USA. If you are not a designer, on reading the above phrase, you probably thought something like “this design thing is for artists and creative people; not for me”. Fortunately, it's not like that. It's true that the term design is linked to the creation of objects, products, environments and graphic projects, but, first and foremost, it’s important to understand a little more about the concepts behind this word. After this, at the end of the 1910s, the iconic design school Bauhaus was one of the main entities responsible for disseminating this concept in modern design. Following this, aesthetics were no longer the only objective of designers. The shape of the object also needed to be designed, taking into account its specific function. Over the years, the concept was subject to many criticisms, mainly due to the fact that many designers took it to the extreme. In spite of this, it is still one of the founding principles that guides current design. The most important thing is to understand that this was the first moment in history that design was considered from the user's point of view, inverting the prevailing logic of the time. The purpose of design was no longer the beauty of the object, but its interaction with a human being. It was necessary to understand how people would use the object to protect it according to their requirements. This simple inversion changed design forever. More than this, it changed the way in which it is considered, enabling its application in various fields. Design is the creative and systematic visualisation of interaction processes and messages from different social agents; it is the creative and systematic visualisation of the different functions of objects and their adaptation to the needs of the users or the effects on recipients. 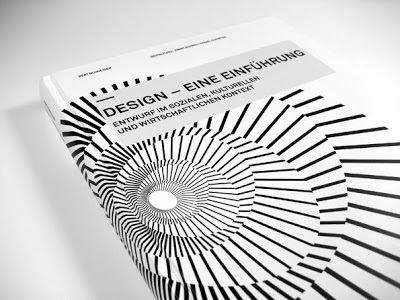 Beat Schneider, professor of culture and design history, and author of “Design - An Introduction. Design in a social, cultural and economic context”. DESIGN THINKING, A BRIEF HISTORY. In contrary to what many people believe, Design Thinking is not a recent concept. 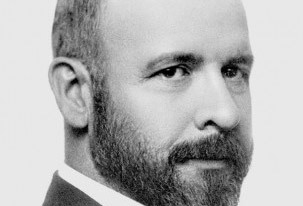 He was an American economist. 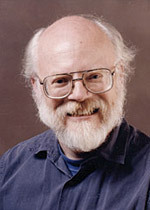 He won the Prize in Economic Sciences in Memory of Alfred Nobel in 1978. 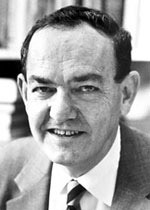 Herbet Alexander Simon, a Nobel Prize in Economics winner, was the first to present the idea for design as a "way of thinking" in his book The Science of the Artificial from 1969. Later, Robert McKim brought this concept to engineering in Experiences in Visual Thinking from 1973. 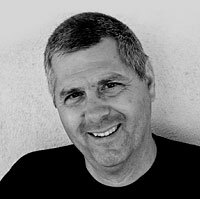 He was an American designer who made major contributions to the fields of human-centered design and design education. 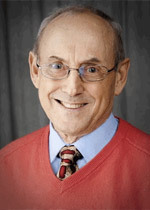 Further still, it was Rolf Faste, a professor at Stanford, who coined the term and popularised the concept ofDesign Thinkingas a way of acting to solve problems. He is an American businessman, entrepreneur, designer, engineer and teacher. He is the founder, chairman and managing partner of the design firm IDEO. 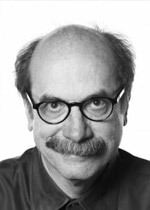 Another important name in the history of Design Thinking is David Kelley, a colleague of Rolf Faste at the University of Stanford and the main person responsible for adapting design thinking for administration. The founder of IDEO, he presented Design Thinking to the world as a way of innovating, creating products, designing service experiences, solving business problems and generating positive social impacts. From this moment on, you didn't need to be a design professional to resolve problems like a designer. Design thinking is essentially an innovation process centred on the human being, which emphasises observation, collaboration, rapid learning, the visualisation of ideas, the concept of rapid prototyping, and the analysis of market competitors, which, after all, influence the innovation and strategy of a business. Design Thinkingis thinking from the outside in. It's putting the human being at the centre of everything to positively impact peoples' lives. When applying design thinking to business, companies can rapidly improve client experience with little investment. Design Thinking has therefore rapidly won over many followers from the universe of entrepreneurship. 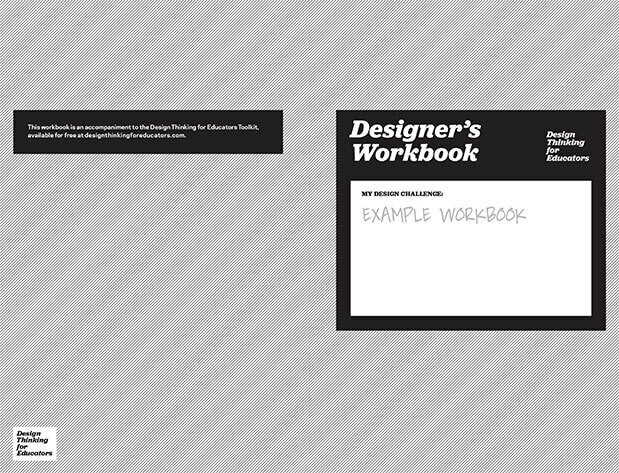 The whole Design Thinkingprocess begins with empathy exercises to identify the needs and motivations of people. In schools, these are students, teachers, parents, employees and managers. Say goodbye to the model of the genius who solves problems on his own. Tackling problems through Design Thinking is to work with multidisciplinary teams and believe that different perspectives can contribute much more to solving challenges than just one point of view. Design Thinking is believing that everybody can make a difference and generate positive change via an intentional process. Mistakes are part of the Design Thinking. The idea is not to find the fastest solution possible, but rather to make mistakes as early on as possible to arrive at a solution that has little chance of failing. Risk taking, freedom, experiment, prototype, evolve and learn by doing are concepts that make up the process. There is a structured approach to putting Design Thinking into action. There are five phases, from the identification of a challenge to its solution and implementation. Design Thinkingis not about using a model of linear thought and it can seem a little chaotic at times. The process consists of alternating between divergent and convergent thoughts, in which the scope of possibilities for the selection of the best ideas is expanded. Design Thinking has already broken into the business world, being used in various fields in which people are confronted by complex challenges. In education, one of these challenges is incorporating entrepreneurship into the routine of institutions, educators and students. The Sebrae Entrepreneurship Education Reference Centre encourages the use of Design Thinking as way to solve educational problems in a collaborative, humane, educative and entertaining manner. The design process requires a collaborative attitude, valorising different opinions to expand the potential for innovative solutions. Begin slowly and cautiously, working in groups of up to five people. In the classroom, divide the students into small groups and given them a common challenge to solve. Choose a place where it is possible to use visual thinking to stimulate idea generation and co-creation. Use post-its on large sheets of paper, cut out images to stick on the wall, making notes in such a way that everybody can see them. It's very important that the process is visually sharable so that everybody can access the panorama that is being created. This is a list of materials that are normally used to carry out the dynamics activities: post-its, coloured paper, cardboard, coloured pencils and felt-tip pens. Every design process begins with defining the challenge for you you will seek a solution. The challenge must not be so small as to be limiting, neither too broad that the group loses focus. It must have a clear scope, easy to comprehend and enable action. Give shape to your challenge by constantly asking the question "How can we..?". Defining a relevant problem by asking the right question is the first step to building a solution that will have a decisive impact on educators, managers, parents and students. Make sure you don't put the answer in the sentence that makes the question. How can we design the classroom space so as to stimulate entrepreneurial behaviour? How can we use digital technology to introduce entrepreneurship in school? Make a list of potential themes. Make an initial selection, rewriting the chosen problems in the format of "How can we..." so that they become a possibility. This is the moment to explore the environment and under the expectations, worries and ideas of the students, parents, teachers, managers and employees of your educational institution. This phase is fundamental to understanding whether the solutions proposed in later phases will meet the demands of the target public. Whose life will the chosen challenge have a direct impact on? With this in mind, define the target public. Remember that, in the classroom, the public can be the group of students. Discuss the challenges selected in the previous stage with the people who will be impacted by the solution, collecting different opinions and points of view. Prepare the research, creating a questionnaire with questions related to the proposed challenge, identifying survey sources to collect references and selecting the people to be interviewed. Gather inspiration for similar projects and hold interviews with users and specialists. After exploring the possibilities in the previous phase, this is the moment to find meaning in everything that was collected and identify opportunities for action to solve the proposed challenge. The purpose of this stage is to a find a consistent point of view and a clearer direction for the next step, ideation. It's natural for this stage to be a little confusing given generating meaning is not so easy and it doesn't often follow a linear logic. Transform what you learnt during the research into stories and share with work group. Identify thematic groups based on the shared stories. Explore the interpretation of each theme further. Transform the interpretation of the themes into insights. Select the insights and turn them into opportunities for the solution of the challenge. This is the moment to generate ideas based on the opportunities identified in the previous stage. Brainstorming is one of the most powerful ways of sharing ideas within a group. Encourage the people to give the maximum number of realistic and even unrealistic ideas. All ideas are welcome at this stage. Worry about selecting later. As crazy as it might seem, an idea could help to stimulate the creativity of the other people. Instead of discarding proposed ideas using the expressions "no" and "but", always use the technique of "and if" to express your point of view in relation to what is being suggested. Keep the discussion focused on the theme defined for the brainstorming. Everybody will have their time, and all ideas are important. Listen to each one, one at a time. Drawings, as simple as they may be, often represent more than words. The best way to define a great idea is to generate many. Making mistakes is part of it. Adopt a positive attitude and don't underestimate anybody who proposes an idea that seems bad. Making mistakes is important to finding the right answer. Prepare for the brainstorming by choosing a space for the activity, selecting a facilitator and providing tools in order to document the ideas. Categorise the ideas in groups and after select them via a vote. Explore the selected ideas further, describing each one of them in detail. Select the best ones and give up on the ones that seem unviable. Choose which ones will be prototyped in the next phase. This is the moment to build prototypes to bring the ideas to life. There are fundamental to sharing the idea, allowing other people to experience the proposed solution to the challenge, even in a basic form. The intention here is not to make something perfect, but obtain feedback to improve the idea before its implementation. Create a prototype in the form of a process diagram, storyboard, or cardboard models, amongst other. Present the prototype to some people who will use the solution being developed and get feedback. Record any learning from the feedback. Develop the prototype further if necessary. This is the moment to implement the project, presenting the solution to those who can help to put it into action in their educational institute. Define the criteria for success and start to measure the impact of the project. Follow the changes closely and document the evolution process. We can all be designers. Use the design process intentionally, it's powerful. Listen to people and let them inspire you. Learning takes place outside of your comfort zone. Know that the world is bigger than the classroom. Let other environments, educational or not, inspire you. Seek answers outside of the classroom. Try to view the problems as something new, even if some of them are not new to you. Accept that you still have a lot to learn. There are many incredible things "outside the box". Try changing your normal mental model. Don't be in a rush to find the "right" answer; it will appear. Without problems, there are no challenges to solve. Believe, trust and be optimistic. Adopt the approach "and if" instead of point out errors. Design Thinking for Educators is not a cake recipe. You'll need to rack your brains to find a solution that makes sense to you, your students and educational institutions. 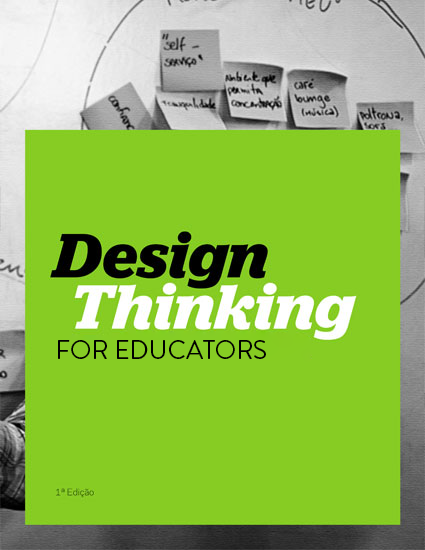 Access the official site of the Design Thinking for Educators project and download all of the available material in Portuguese, for free.